This printable monthly amortization schedule helps you calculate your monthly loan payments given basic data about your loan terms and your payment schedule. Download this Printable Monthly Amortization Schedule Excel Template today to take advantage of this free template’s useful features! When paying off a loan like a mortgage or car loan, your payments will follow an amortization schedule, under which every payment pays part of the interest and part of the principal, until the entirety of the loan has been paid off. Calculating your amortization schedule with this handy template can help you understand just how much you are paying in interest and overall. This template also allows you to see what would happen if you make extra payments or payments above the minimum. You might be surprised by how much you save in the long run by making extra payments. Take control of your finances with this monthly amortization Excel template. Simply enter all the information about your loan, and the template will generate a mortgage amortization schedule, allowing you to skip the tricky calculations. 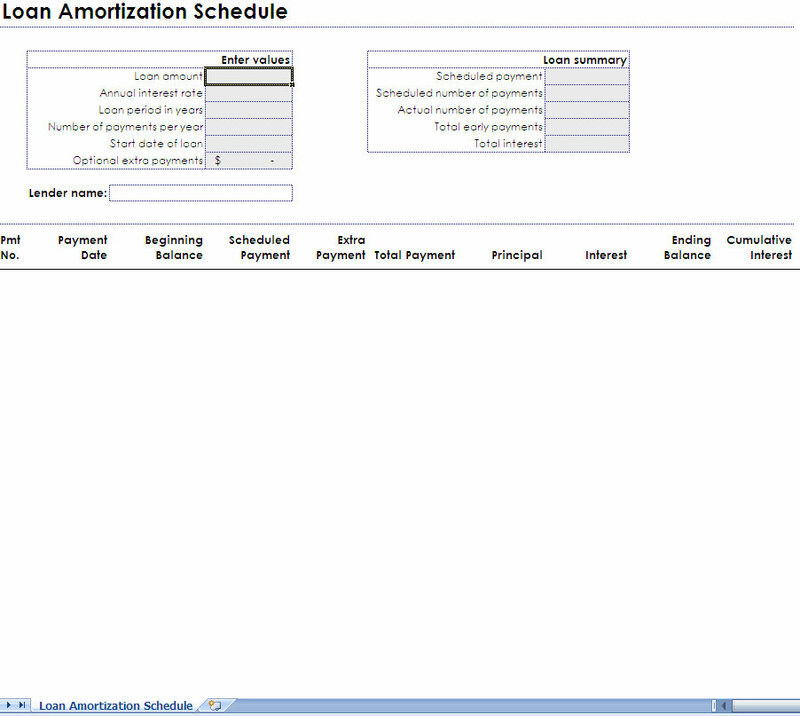 As you can see from the screenshot above, the mortgage amortization schedule template is straightforward and easy to use, so you won’t get confused about what information to enter. This monthly mortgage amortization schedule isn’t the only great template we have. You’ll find plenty of other spreadsheets and forms to help you stay on top of your finances. 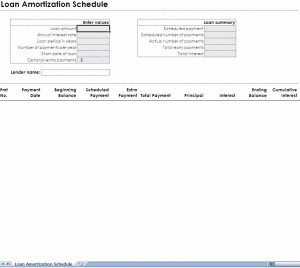 Have you found this amortization schedule helpful? Don’t forget to tell your friends about us on Facebook!